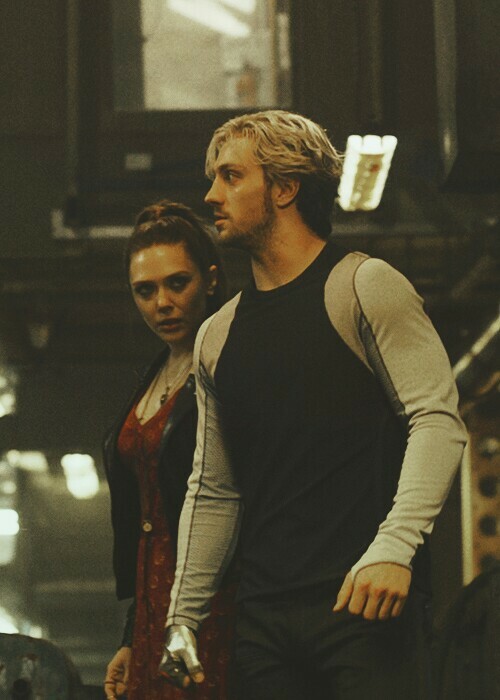 Pietro and Wanda. . Wallpaper and background images in the アベンジャーズ club tagged: photo avengers: age of ultron movie elizabeth olsen wanda maximoff scarlet witch aaron taylor-johnson pietro maximoff quicksilver. This アベンジャーズ photo contains スーツ and ビジネス スーツ. There might also be 身なりの人, スーツ, パンツスーツ, よく服を着た人, パンツ スーツ, 通り, 都市現場, 都市環境, ストリート, 都市, 都市設定, 都市のシーン設定, hip boot, and thigh boot.